Createspace Independent Publishing Platform, 9781548657703, 274pp. In February of 1977, during a weekend visit to her uncle's home in Riverside Valley, California, Celena was taken in the night. Two radicalized women planned the kidnapping. Both were members of the Synanon cult's Kidsnatchers group in Marin. One of the women, Celena would learn, was her mother, whom she had not seen for two and half years. Leaving Los Angeles, she came to enter a strange, secluded world where childhood was an experiment, and no relationship was sacred. Immersed in the strange and deviant society of Synanon, Celena would spend the next five years subject to the unpredictable whims of Charles Dederich, the cult's shadowy leader. In a series of scenes, Synanon Kid chronicles cult living from a young girl's perspective and her search for identity and belonging in a world of physical and familial displacement. From the African American communities of South Central Los Angeles to the racially integrated, yet rural and isolated world of Synanon, Celena tries to make sense of and navigate the dichotomy of the mainstream blue-collar life into which she was born and the counterculture lifestyle she inherited. 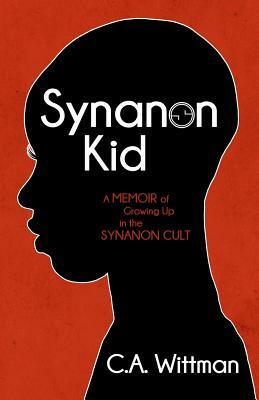 A haunting tale of estrangement, Synanon Kid, is a coming-of-age story of hope, survival, and determination. It is also a story of the unconditional love between a mother and daughter and how that love helped a young girl to grow and flourish against the odds of her distorted childhood. C.A. Wittman grew up in Northern California. In 1993 she moved to Maui Hawaii where she raised her children. Synanon Kid is her second book. Currently, she resides in Los Angeles with her husband Frank.